In the above styles, the first part (background-color: #fff;) will make the background color of the body/page white. The second part (color: #000;) will make the color of the text on the page , black. You will learn more about all these later. Or you may go ahead and watch the full HTML and CSS tutorial here. The full style block is a rule. Selects what needs to be styled. It may be a class, an identity (id) or a HTML tag . From our example the selector is body . You will learn about selectors later on. You will see how to combine different selectors. Property refers to the first part of the style element . The value refers to the second part of a style element. You will learn more about all these . You will learn about CSS selectors in details, where we’ll talk about different types of selectors. 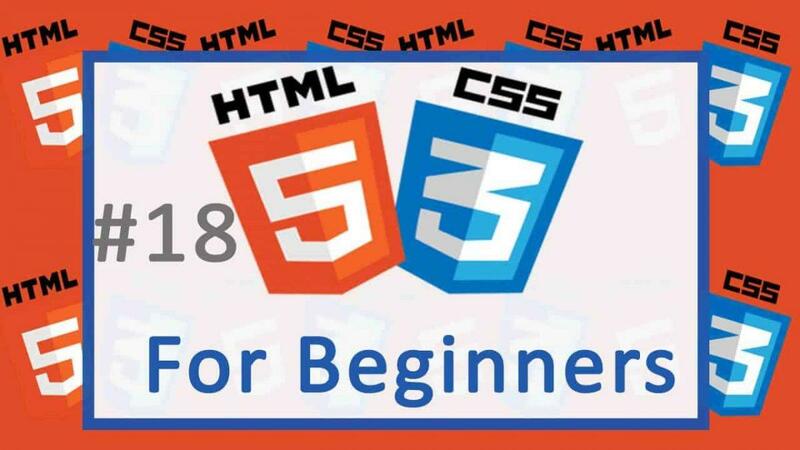 You will learn how to use compound selectors to dig down into your HTML elements, you will also learn about pseudo selectors and so much more.